One of the single most common questions that T.I. swimmers ask after first learning the T.I. drill process and technique-focused approach is: “How do I apply what I’ve learned in the drills to my whole stroke practice?” To help guide our students with integrating T.I. skills in the transition to whole stroke practice, we have long provided a companion instructional manual to our workshop attendees. Below is an excerpt from a workshop manual that Terry Laughlin adapted from his 2006 book “Extraordinary Swimming for Every Body,” providing practical suggestions to guide T.I. swimmers through the first several weeks or months following a T.I. workshop. This post highlights a detailed list of freestyle focal points that aims to answer the question of how to transition the skills of T.I. 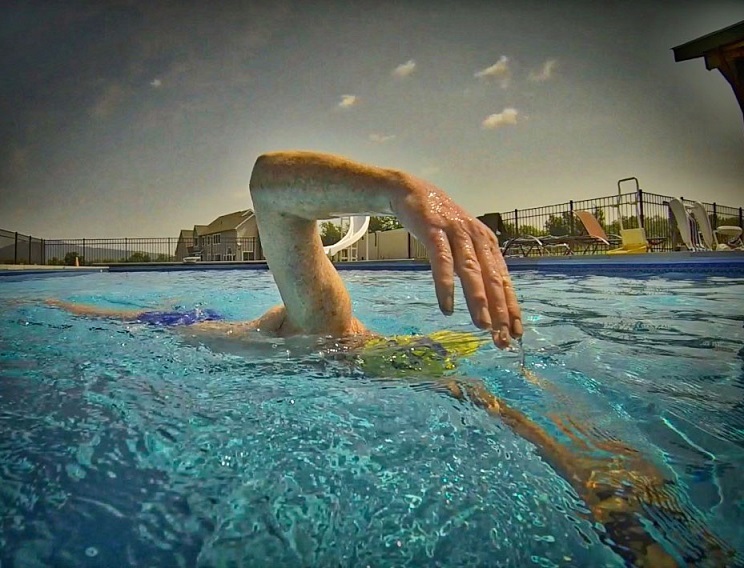 drills to whole stroke swimming– an indispensable aid for both new T.I. swimmers and long-term kaizen learners! Enjoy… and Happy Laps! Following a period of intensive drill practice, you have two priorities: (1) Apply what you’ve learned in drills to whole-stroke and (2) Begin imprinting an economical stroke into muscle memory. The two key ingredients are Drill/Swim Set and Mindful Swimming. Earlier in this practice guide Coach Brian Van de Krol gave great guidance on Drill/Swim sets. [Those particular drill/swim sets will be shared in a separate blog post in the coming weeks.] Basically, take what feels good in the drill and make it feel the same while swimming whole stroke. At first, it might take you 75 yds of a drill to get a clear idea of the sensation you’re trying to replicate, and you might be able to “hold that feeling” for only 25 yds of swimming. With time, that mix should become 50 yds drill and 50 whole stroke, then 25 drill and 75 whole stroke. Prioritize clarity by having a specific focus at all times and keeping that focus from drill to whole stroke. For example, if you practice Skating with a focus on establishing “wide tracks,” then focus on following those wide tracks in whole stroke. When you increase your whole-stroke practice, it’s best to simplify your task and heighten your focus with Mindful Swimming. Pages 115-127 of “Extraordinary Swimming for Every Body” [available for purchase– follow this link to the T.I .Store] provide a detailed context for all Freestyle Focal Points. Here is a consolidated list to begin your freestyle practice. If you’re counting, that makes 38 different focal points– but it’s not an exhaustive list. I’ve used every one of these, some for hundreds of thousands of strokes, others for tens of thousands. All have contributed something meaningful to my efficiency. I never take a stroke– in training or racing– without thinking about one of them. Each focal point works on a particular part of the stroke. And each lap you consciously focus on, for example, slipping your arm into a mail slot, faintly imprints a new groove in your nervous system. After 5 or 10 minutes thinking only about that, it will feel a bit more natural and improve the chances that you’ll continue doing it when you’re thinking about something else. Through practice, you’ll narrow the list to a few particular favorites. Once you do, you might note those on an index card and laminate, or put it in a Ziploc baggie and take it to the pool with you. 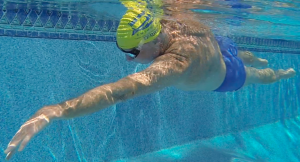 Put it at the end of your lane, and then do several 25s of each “cue” on the card. Take enough time between reps to catch your breath and think about how you feel. As they become easier, progress to 4 x 50 of each cue. Then, 4 x 75. The level of focus required to do these and groove them into your nervous system makes the time fly, so enjoy this exercise in Mindful Swimming, while you build efficiency and fitness.